Read about SDC2019, the premier professional development event for anyone with responsibility for scheduling and/or dispatching business aircraft. The NBAA Schedulers & Dispatchers Conference (SDC) celebrates 30 years this week in San Antonio, TX, and attendees gathered to remember the past and look toward the future. The opening session included recognizing scholarship and award recipients, a request from NBAA President and CEO Ed Bolen that attendees promote the industry to future business aviation professionals and keynote speaker Karen McCullough, who discussed change and the importance of collaboration among generations. Read more about the opening session at SDC2019. As nearly 3,000 attendees gather in San Antonio, TX this week for the 30th annual SDC, many may marvel at how the event has evolved over the years. 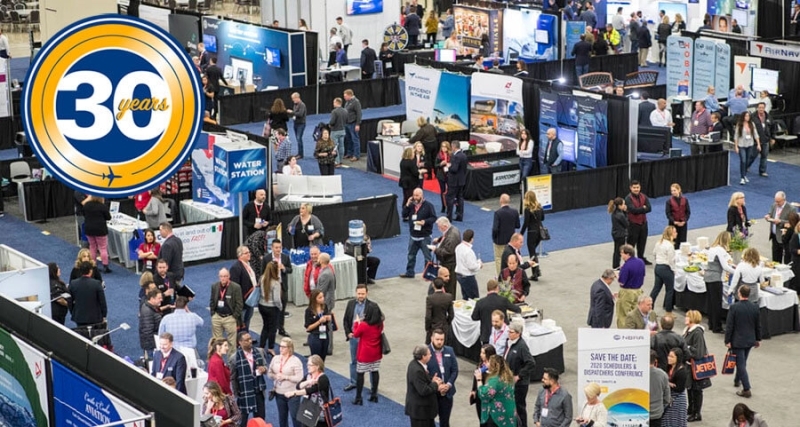 “There were maybe 100 attendees at the first couple of events, with just a handful of exhibitors,” said Julie Brooks, business manager at Professional Flight Management. “It was a relatively informal gathering. There couldn’t have been more than 20 exhibitors.” Watch a special 30 years of SDC video and read more about the conference’s milestone. As the industry grapples with the challenge of developing tomorrow’s workforce, NBAA’s Schedulers & Dispatchers Advisory Council is helping to shape future business aviation professionals. For the second consecutive year, the group organized a Pay-It-Forward educational initiative prior to the opening of the SDC2019. Working with the local school district, they organized a half-day event to give 22 potential aviators a chance to learn about all the industry has to offer. “It’s our way to give back,” said council member Amber Finchum. 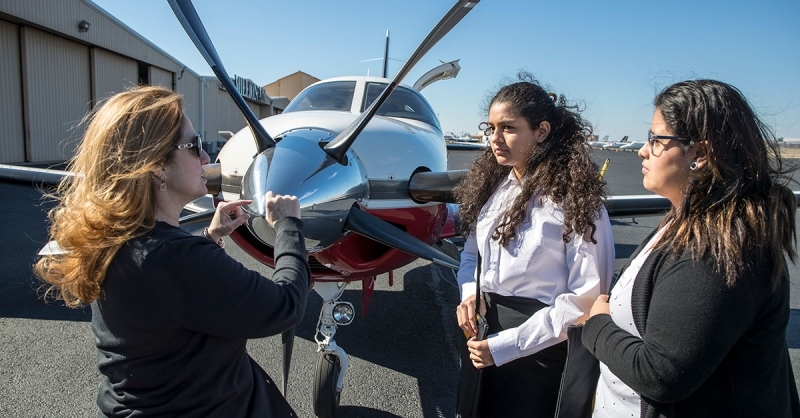 “There are so many different jobs and careers that exist within our industry that kids don’t even know about.” Learn more about the future of business aviation. About NBAA: Founded in 1947 and based in Washington, DC, the National Business Aviation Association (NBAA) is the leading organization for companies that rely on general aviation aircraft to help make their businesses more efficient, productive and successful. The association represents more than 11,000 member companies of all sizes located across the country. NBAA provides more than 100 products and services to the business aviation community, including the NBAA Schedulers & Dispatchers Conference, the premier professional development event for anyone with responsibility for scheduling and/or dispatching business aircraft.